WE ARE Engineers Without Borders’ University of Southern California chapter (EWB USC). OUR MISSION Is to build a better world through engineering projects that empower communities to meet their basic human needs and equip leaders to solve the world’s most pressing challenges. The University of Southern California Chapter of Engineers Without Borders is an entirely student managed organization. Founded in 2006, EWB-USC is the Viterbi School of Engineering’s only humanitarian organization. Our close-knit, dedicated member base is composed of Trojans studying a wide variety of disciplines. All members of EWB-USC are volunteers who share a common vision of making a difference in rural communities of developing countries while enhancing their engineering education at the University of Southern California. EWB-USC’s members are the heartbeat of our organization; these members volunteer their time, their energy, and their expertise in pursuit of EWB’s vision of a world where every community has the capacity to sustainably meet their basic human needs. Our diverse students are dedicated to creating a lasting, positive impact in the world. Since our inception, our club has become strongly involved in several international projects in developing countries. EWB-USC builds a better world through engineering projects that empower communities to meet their basic human needs and equip leaders to solve the world’s most pressing challenges. In EWB-USC, students and professional mentors work together to deliver critical infrastructure projects to rural communities in developing countries. For each project, EWB collaborates with the local community members to design and implement sustainable engineering projects. Through the project design and implementation process, students have the opportunity to learn and apply engineering skills and develop strong leadership qualities. EWB-USC’s vision is a world in which every community has the capacity to sustainably meet their basic human needs. Our chapter offers the opportunity for students to practice teamwork, problem solving, and innovation. Furthermore, students have the unique opportunity to apply their engineering skills to serve global communities. We are currently working on a local project designing a playground from the ground up, while also searching and applying for international projects. In the past, EWB-USC has completed two water purification and distribution projects in two rural communities in western Honduras, both of which had historically lacked consistent access to potable water. 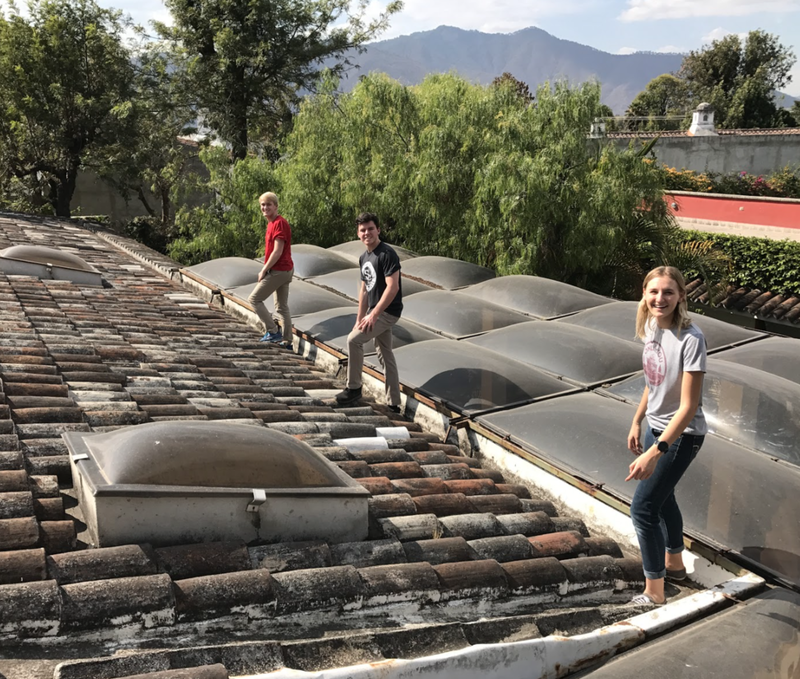 Through these humanitarian projects, students have the opportunities to help in the design process and travel to local and international project sites and communities for surveying and implementation.